federal funds. If they don’t accept the conditions, then they don’t get the money. This is how Medicaid began, as an optional program states could agree to join. All of them did, obviously. But now the law has changed, and those against the ACA’s new policy argue that this is an unfair expansion of a program that in practical terms is no longer optional. Medicaid is so fundamental to states’ operations now, they assert, that it can’t be considered funding that states can refuse if they choose not to agree to the new regulations. 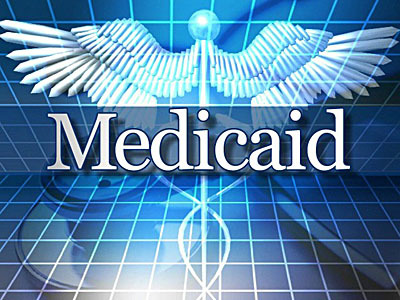 Because they will lose not only the new funding but all Medicaid funding if they don’t expand the programs, they say the actions of the federal government are coercive. Aaron is right that this part of the case is far more fundamental than the court’s ruling on the mandate. If the mandate is overturned, it would place moderate new limits on Congress’s regulatory power. It wouldn’t even necessarily be disastrous to Obamacare: there are other ways to implement an effective mandate that are unquestionably constitutional, after all. The problem is that right now Democrats don’t have the votes to pass one of those other ways. But that’s a political problem, not a fundamental constitutional problem. The Medicaid changes are quite different, though. For decades, Congress has implemented national programs not by explicitly forcing the states to go along, but by making funding available only to those states that agree to follow federal rules. Critics have long argued that this is a subterfuge: Congress does this in cases where they don’t have the constitutional power to make a program mandatory on a national basis, so instead they extort cooperation by sucking out tax dollars from the states and then agreeing to give them back only if the states go along. But subterfuge or not, courts have always ruled that this is constitutional. So if the Supreme Court overturned the Medicaid changes, it would be a genuine earthquake. At worst, it would make hundreds of programs instantly unconstitutional and expel the federal government from playing a role in dozens of policy areas. At best, the federal government could still start programs this way, but could never change them once they’d become entrenched and were no longer “optional.” This would freeze policy in place in a way that would be disastrous. This, of course, is why most observers haven’t paid a lot of attention to this part of the case: it’s nearly inconceivable that the court is willing to produce this kind of bedlam. It would overturn decades of very clear precedent and produce chaos at both the state and federal levels. And unlike overturning the mandate, overturning Congress’s ability to fund national programs this way would quite likely provoke a genuine constitutional crisis. I don’t think anybody believes the court is really in a mood to do this. So even if they do overturn the Medicaid provisions (unlikely), they’re almost certain to do so on very narrow terms that don’t have a broad impact on Congress’s general ability to make federal grants conditional on Congress’s rules. But I guess we’ll see. If this part of the law gets upheld, but by only a 5-4 vote, it would mean that Medicaid is safe but that the court is really and truly feeling its oats. This part of the program will be argued tomorrow, and it’s worth a watch.